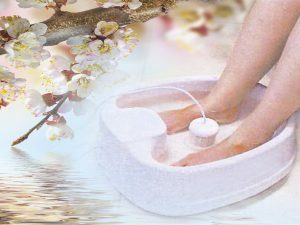 Our foot baths can help you heal faster and look younger by removing toxins from your body while you relax with your feet in a soothingly warm bath of water. The first picture shows one of the foot baths as it begins. The second picture shows one as it ends. The picture below them shows how we wrap your foot in a towel and massage them afterwards while you sit back and enjoy. How Do Foot Baths Work? The electrical forces also unlock your cells which allows them to dump their toxins into your bloodstream. After entering your body, some of the oxygen ions enter your blood stream and circulate through your body. These oxygen ions join with the released toxins. 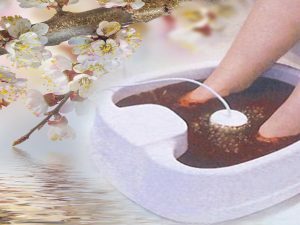 When the ionic detox foot bath equipment’s magnet reverses its polarity to pull the oxygen ions back out of your body, the toxins that the oxygen are holding on to also come out. As the detox process continues, the toxins collect in the water at your feet. Similar substances begin to come together and get big enough for you to actually see as shown to the left. This detox process gives nearly all of your cells a chance to release their toxins. Detoxing your body in this manner with our ionic detox foot bath can energize and invigorate you. 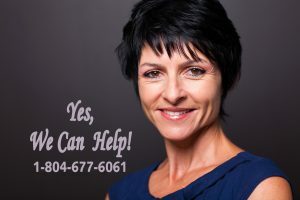 Leaving you able to heal faster and look younger! Afterwards, we will wrap your warm feet and massage them putting a smile on your face. Click here to view pictures of the complete ionic detox foot bath process and the “trash” that comes out. Stop feeling very tired before your day has ended! Try Our Foot Baths…This May Be Your Answer! You can feel better on the inside and look better on the outside.